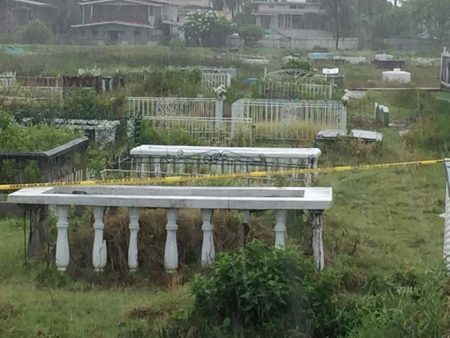 The body of an 18-year-old Qualfon employee was yesterday morning discovered in a cemetery at Triumph, East Coast Demerara with her face mutilated and the police have since arrested five persons for questioning. 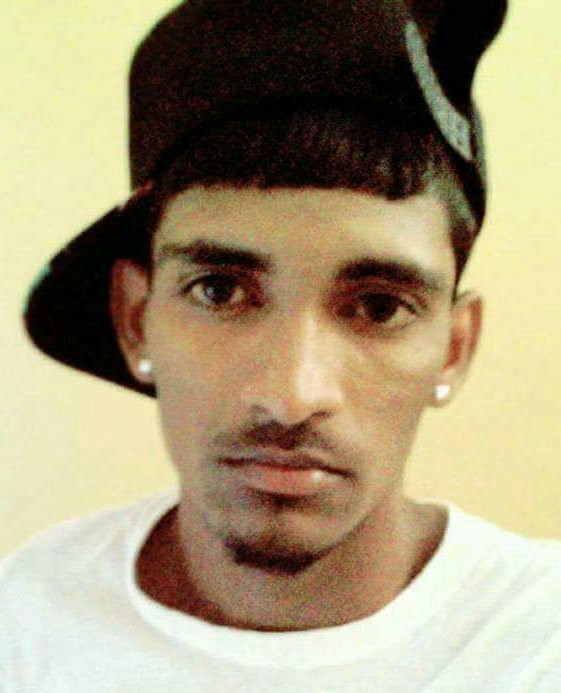 Dead is Ranella Benfield of Lot 99 Canterbury Walk, Beterverwagting, ECD and an operator attached to call centre, Qualfon’s, Goedverwagting branch. The discovery of the body was made around 8.15am yesterday by a passerby. At the time, Benfield was lying face up between two tombs in the cemetery which is located on the eastern side of the Beterverwagting police station. Her hands were on her stomach and her pants were pulled below her hips. Her face appeared to have been smashed in. The section of the cemetery where Benfield’s body was discovered. 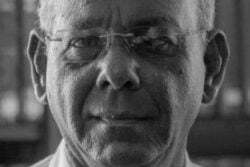 A source close to the investigation informed this newspaper that up to last evening, investigators were working on several leads in the gruesome murder. 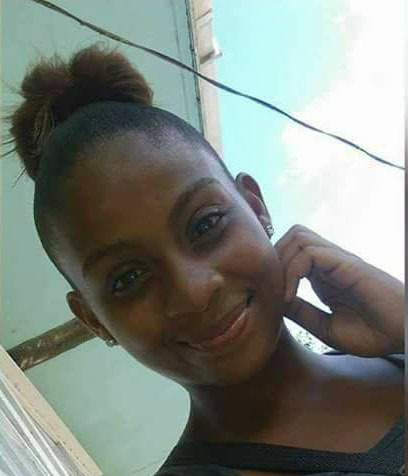 Stabroek News understands that Benfield left home on Saturday morning for work and was last seen alive around 6pm by her colleagues boarding a minibus. However, after she did not return home as expected, her family reportedly assumed that she was working overtime and did not raise an alarm. When Stabroek News visited the scene yesterday morning, the cemetery was cordoned off as a crime scene and detectives were seen examining Benfield’s body. A number of persons gathered to get a glimpse of what was transpiring despite the heavy downpour. The body was dumped a short distance from the cemetery entrance which is accessible through a stretch of road that was recently reopened after some roadworks. “This is really sickening, she is so young and always quiet, I wonder who would do something like this to her”, a resident said. Meanwhile, when approached by this newspaper, the mother of the dead girl declined to comment while stating that she is still trying to come to grips with her child’s death. The woman briefly stated that she was at work when she received numerous calls informing her of the discovery. 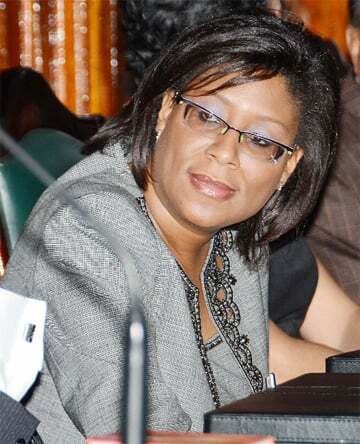 “Yuh making joke when yuh at work and people calling yuh and telling yuh something like this, it’s not easy”, she said.